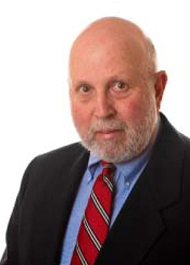 David Brodt's legal practice focuses on commercial and residential real estate contracts and closings, real estate leasing, mortgage financing and real estate title litigation, including quiet title suits and landlord-tenant disputes. He has represented individual, corporate and institutional clients, and he has successfully litigated or settled and resolved all manner of real estate related disputes. Prior to joining Leslie Robert Evans & Associates, P.A. as Of Counsel in 1998, David was Associate Counsel for the John D. and Catherine T. MacArthur Foundation’s Florida Real Estate Office from 1989 to 1998. While at the MacArthur Foundation, David's work included participation in title clearance and closing of several thousands of acres of environmentally unique parcels in Palm Beach, Martin and St. Lucie counties. For many years, David worked for several national title insurance companies and was responsible for title insurance claims resolution and supervision of litigation. He has an ability to review and analyze complex real estate problems and always seeks to resolve these problems in an efficient and economical manner. David also has experience in land development from the initial site acquisition, land use approval and construction of “for sale” units, including preparation and filing of condominium documents for several condominium developments. In 2009, David received designation as a United States Green Building Council (USGBC) Leadership in Energy and Environmental Design (LEED) Accredited Professional, and in 2011, he earned his USGBC LEED AP, BD+C accreditation. David has worked on LEED building development and he is active in the USGBC South Florida Chapter and the Palm Beach County Branch.